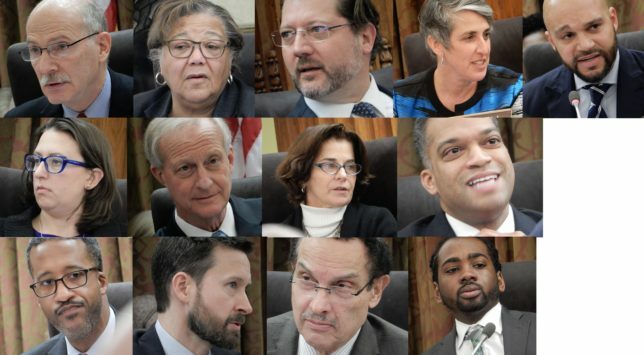 At a brief Legislative Meeting called primarily to allow a vote on overturning a recent, rare mayoral veto, the Council unanimously voted to support emergency legislation that would prevent furloughed federal workers being evicted or foreclosed on. Furloughed federal workers face the agonizing circumstance of being unable to pay bills that they can and consistently do pay in normal times. During the federal government shutdown, they are either required to work without pay, or forbidden from working at all. Since federal legislation has been passed and signed guaranteeing back-pay to furloughed federal workers, it is clear that any missed rent or mortgage payments are simply due to a temporary cashflow shortage, and will be subsequently paid. Yet, absent Council action, workers would very much have been facing potential eviction or foreclosure as the date of their second missed paycheck looms. One change in the legislation as drafted shifted the mechanism for preventing the eviction or foreclosure. While originally the onus was on the landlord or the mortgage holder to cease action, the version of the bill as passed turns to the courts, relying on them to stay measures to evict or foreclose upon demonstrated proof of furlough being shown. An amendment to the proposed measure, passed unanimously, expanded the purview of the bill to include DC courts because, while they are not federal in scope, they are affected by the federal shutdown. In addition to this urgent action in the face of the federal shutdown, the Council also needed to vote to re-affirm its super-majority stance in support of the decriminalization of fare evasion. Given that the measure had passed 11-2, and 10-2-1 (with one absence) on its prior, recent Council votes, and with little indication that any votes had changed in the interim, the veto override vote itself was a bit of a formality. Based on comments from the dais, the rationale behind each councilmember’s vote had not changed from original passage until veto override: all councilmembers felt that fare evasion was wrong and merited a penalty, but only a minority felt that it should remain a criminal offense. Mayoral vetoes in and of themselves quite rare, with just 18 having been issued since 1989 (the year in which our online legislative search engine, LIMS, begins). Only one override vote has been attempted recently, and that vote failed, making the successful veto override regarding fare evasion all the more distinctive. Rename the government building at 441 4th Street, NW for former Mayor and Councilmember Marion S. Barry, Jr. The Council’s next scheduled Legislative Meeting will be held on February 5.